I've had a handful of winter accessory things laying around that I kept meaning to photograph and list in my Etsy shop, but I kept putting it off for whatever reason. Then yesterday I had this 'DUH' moment. Hello, it's December, which means winter, which means I should REALLY list all the cute winter things I'd like to sell! So I shot some photos this morning in my new favorite nook for Etsy photo taking (aka the corner in front of the window where Chris has his drums so I can sit on his stool!) and I just finished listing them! Can you believe I took 337 photos and had a verrrrry hard time picking 30 of them (five for each item)?? Terrible. I am so not a good photographer, especially self portraits! 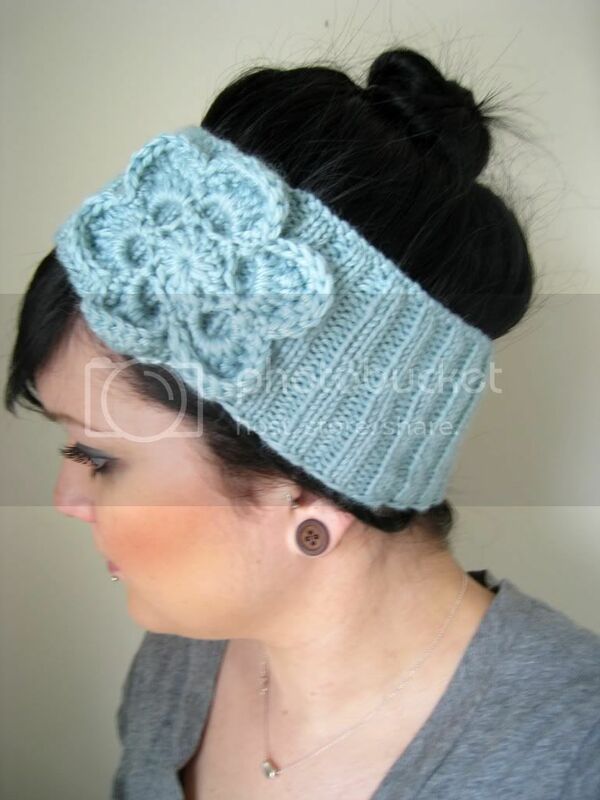 This new group of headband/earwarmers is called Bloom. 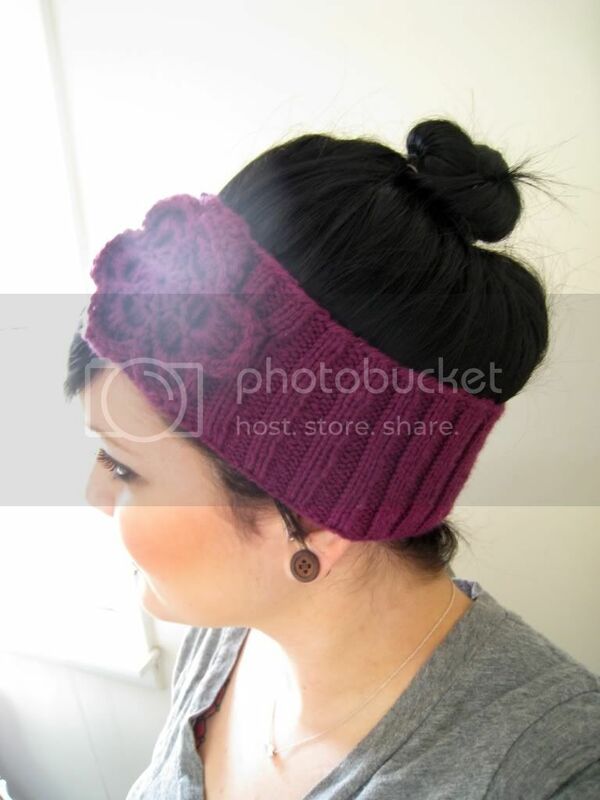 I'm completely in love with wide ribbed earwarmers with a cute and feminine embellishment. I have a lot of trouble during the winter looking feminine, I'll take warmth and comfort over fashion any day, so usually you'll find me bundled up in my huge winter coat with some goofy hat on and my hood up. 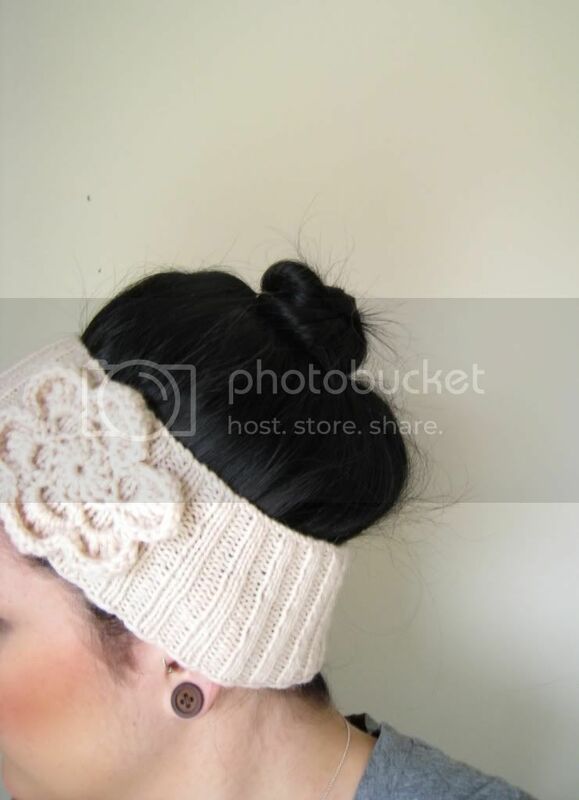 Now, though, I can wear these guys and look cute AND not wreck my hair completely! Win-win to me!! I hope you like them, and like always, I'm up for custom orders too! Message me on Etsy or email me to see what we can make together! These look amazing! I just got knitting needles about a week ago. I haven't really made anything yet because I'm still trying to get the feel for it. 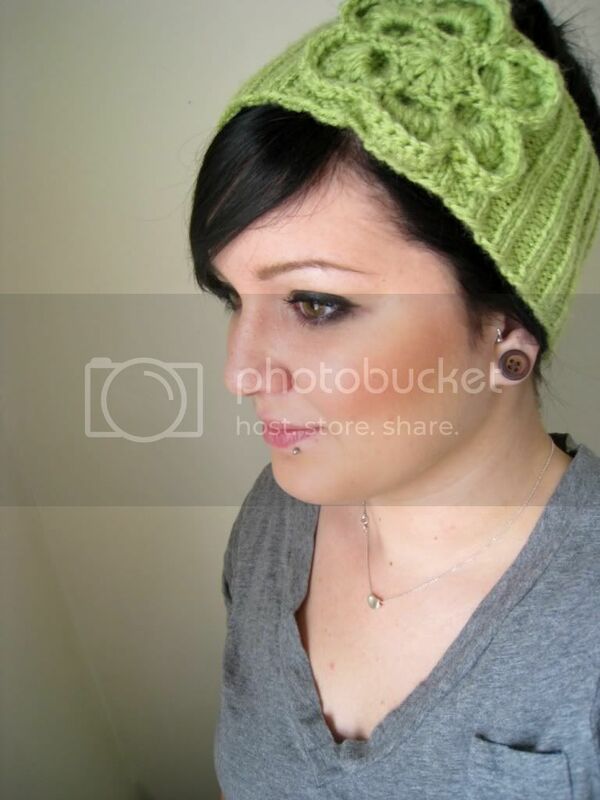 I need to go buy some circular needles because everything I want to make requires them lol. I like these! Great photos! PS. I'm looooving your button earrings! Where did you get them?! Everything looks gorgeous, especially you! 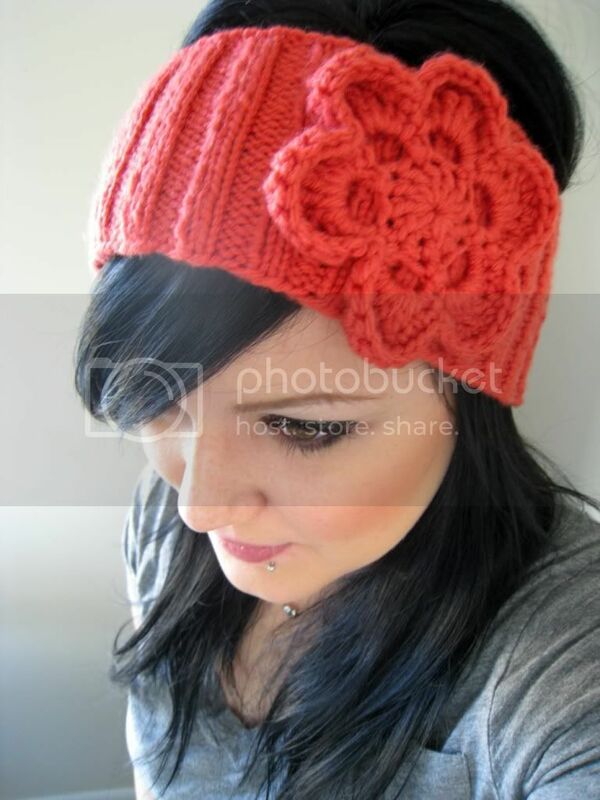 @Jazmyn: I use circs for everything! I never use straight needles, so even if I'm knitting flat I use circs... Hope it's going well! @V: Thanks! These earrings are my brand new plugs from Omerica Organic (http://www.omericaorganic.com/). Love them! I'm going to make a proper post about them soon, I'm so in love! these little cuties appeared in my "recetly listed" items from my favorite sellers - i snached up the coral one in roughly 2.5 seconds! heehee! can't wait to see it! keep up the great work - i love your shop! oh, and i'm the SAME way with my listing photos. generally if i'm photographing 9 new items i take around 200 photos. it's mildly ridiculous. HEH. hoh! i love these. too much for my [wallet's] own good. i need to learn how to do stuff like that. or make more money. or SOMETHING. because i have a problem looking feminine in winter too. those are adorable! i need to order myself one!